This is my very last look from my my Studio 5 - Style File: 5 Spring Wardrobe Staples segment. Its another favorite, and its super comfy and casual! 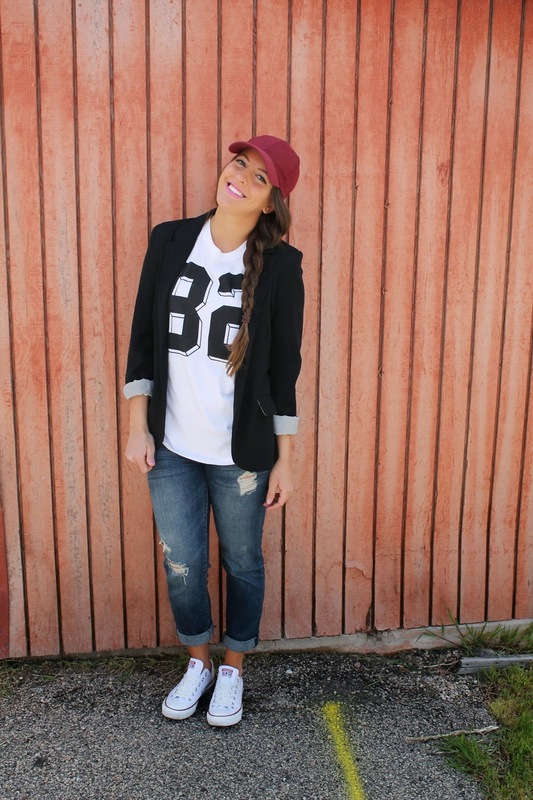 This trend that y'all need to have in your closet is, athleticism. So some sort of baseball cap, jersey top, or varsity jacket. This is such a fun trend, that really makes an outfit really stand out. Not only is it fun, but it can be worn casual or dressed up. It took over the runways for this season, and for a good reason! 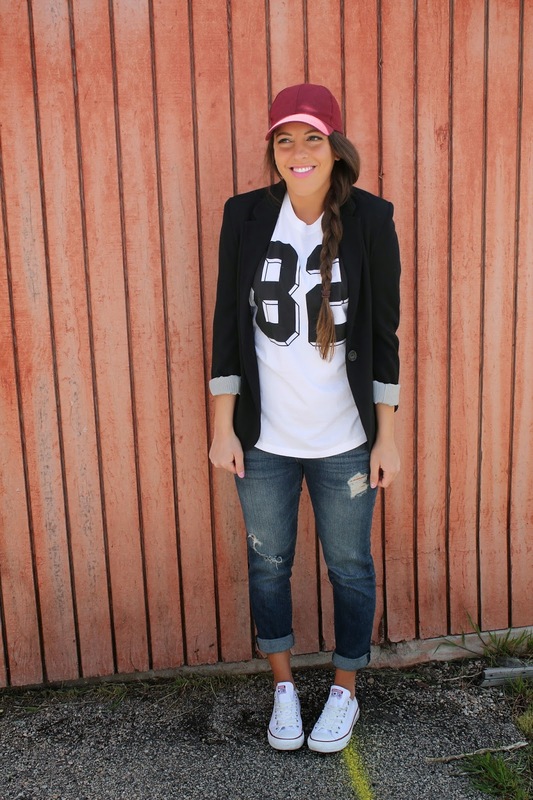 I love everything about this outfit, its my favorite jeans, mixed with a jersey top and my classic black blazer. 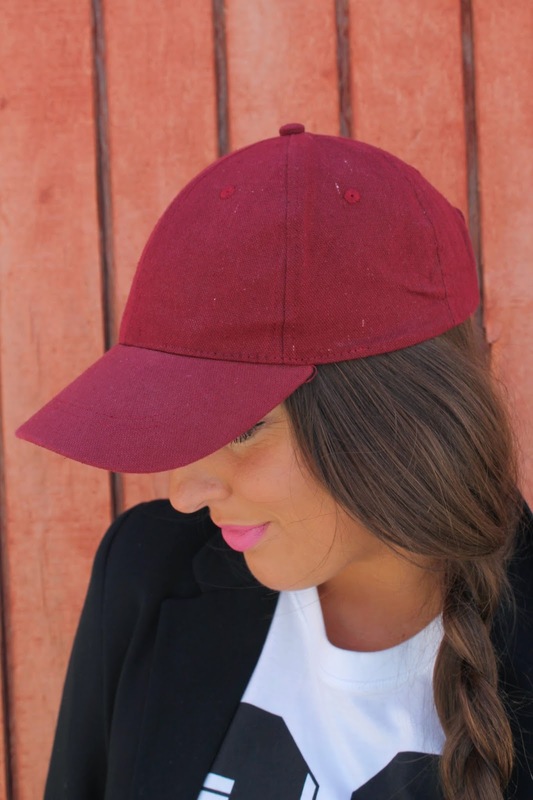 Then to top off the athletic look I wore this baseball cap(I love the color) and my converse! It really is a fun trend, and there's so much you can do with it!! What a great look! Definitely going to try something like this! great outfit! 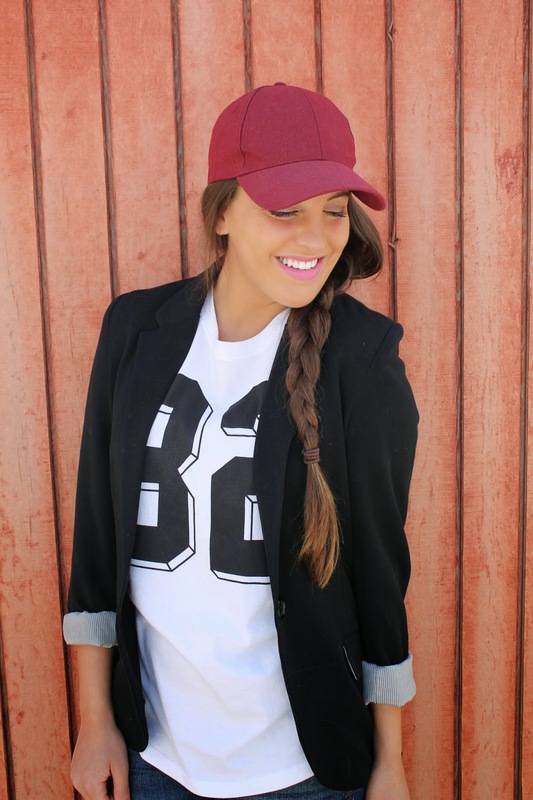 I love the sporty chic trend! You look ADORBS and chic all in one!! I am TOTe copying this look! !